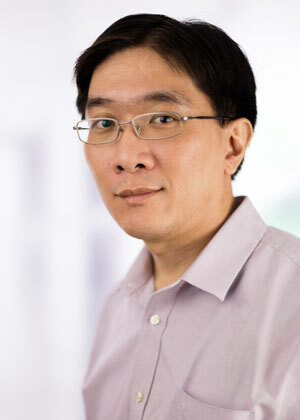 Jason Cheah graduated in 1993 with an honours degree in electronic and electrical engineering from the Queen’s University of Belfast, Northern Ireland. He is a registered Malaysian patent, industrial design and trademark agent. Jason joined Henry Goh in 2002 and has been a Manager since 2005. His daily work includes advising clients on IP protection, drafting and prosecution of patent and industrial design applications in Malaysia and overseas. As Design Manager, he oversees the firm’s industrial design registration work. Jason’s industrial designs experience is extensive, as he has handled the filing and prosecution of a large portfolio of design applications. He frequently consults officers of the Industrial Designs Registry and is up-to-date with changes in Malaysian industrial design law and practice. His patent drafting experience includes mechanical and internet-related inventions such as e-commerce and internet security solutions. Jason has successfully prosecuted a substantial number of patent applications directed at internet-related inventions both in Malaysia and before foreign Patent Offices such as the US Patent and Trademark Office, IP Australia, and the Japan Patent Office. Jason is a member of the Asian Patent Attorneys Association (APAA).